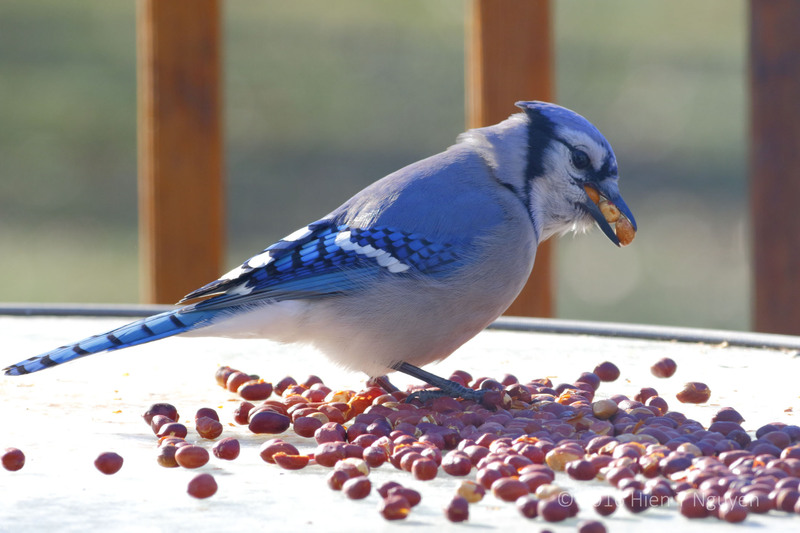 Each bird eats roasted peanuts in its own way. Here are a few examples that I have witnessed recently. Thank you Carol! There have been sightings of bears in our area also, but none that I have seen, yet. A very fun visit with all your backyard friends. Excellent photos Hien. Glad you enjoyed it, Jet! Thank you Inese! Glad you like them. Your captions are hilarious, Hien. Of course, that is exactly what the birds were saying! Thank you Lois. Perhaps I should put up a sign for “Bird Whisperer”. 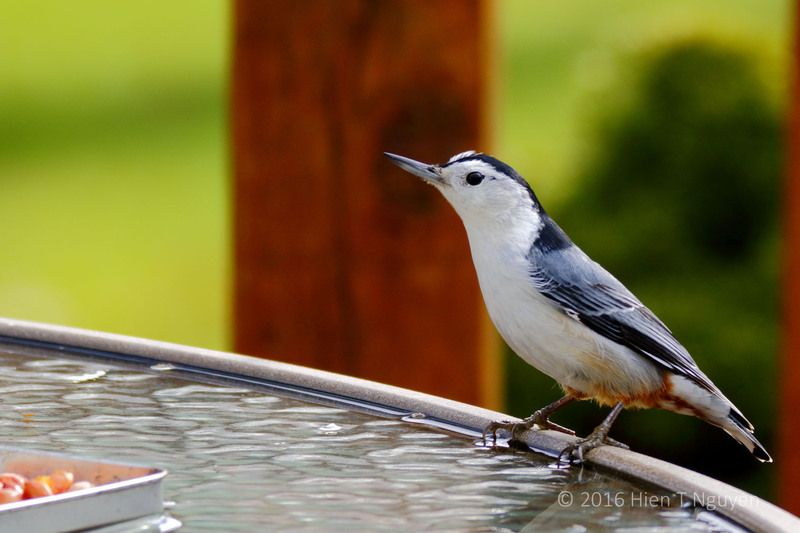 You’ve captured a few of the reasons that it’s fun to feed the birds, they’re both beautiful and entertaining to watch! Thank you Jerry. It is fun to feed them, watch them, and once in a while take some candid shots! Funny! Great photos, always love bird photos. 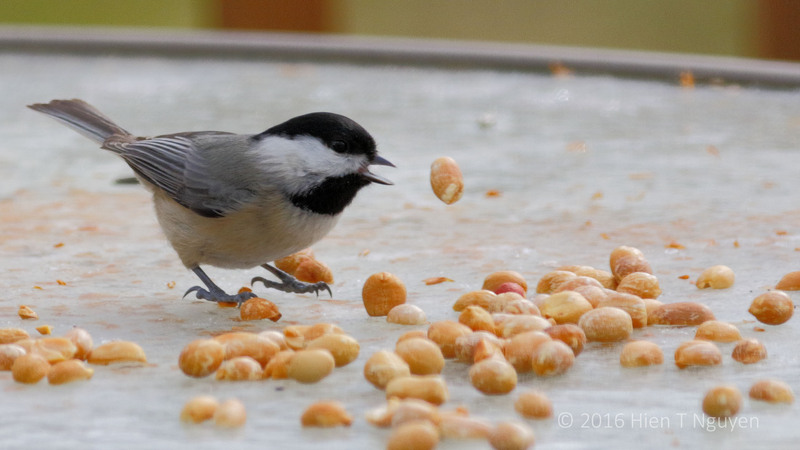 I think the smaller birds take the peanuts one by one back to their nest. 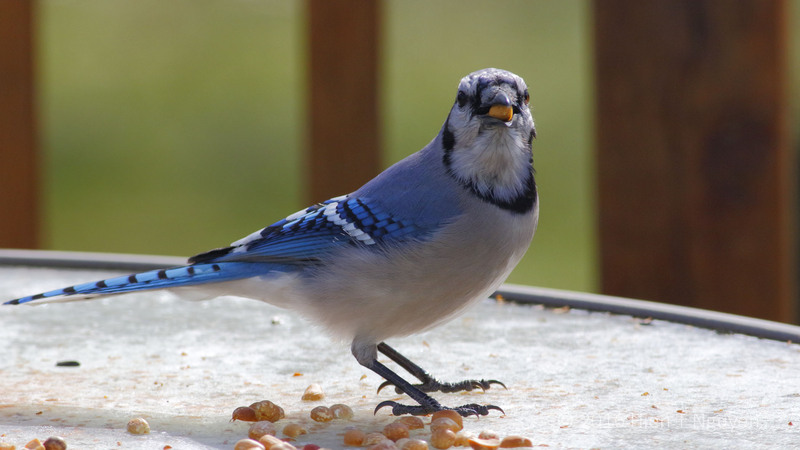 Blue Jays make fewer trips since they can carry up to 5 or 6, but they also bring them back to their nest to share and eat at their leisure. Great shots! 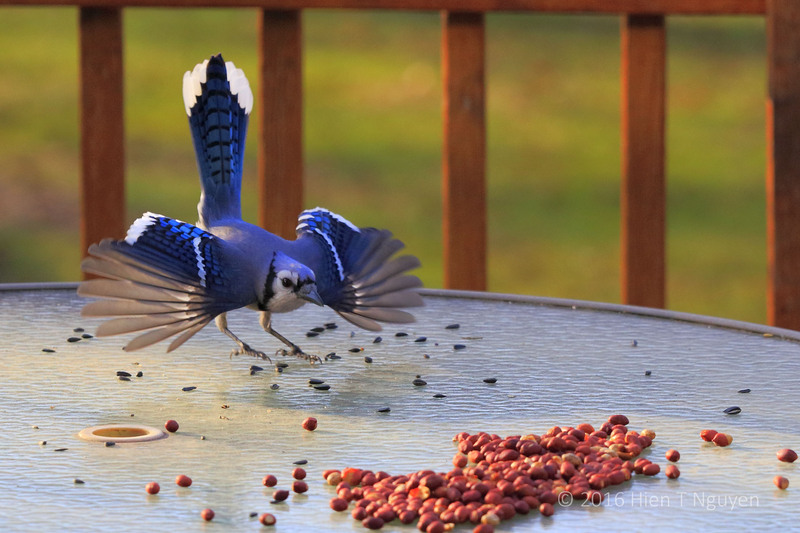 I can relate to the last picture of the blue jay! Ha, ha… Who can eat just one peanut? Superb color and detail. Love the action shots. It seems like you get a good variety of birds to come eat peanuts. They are all pretty. 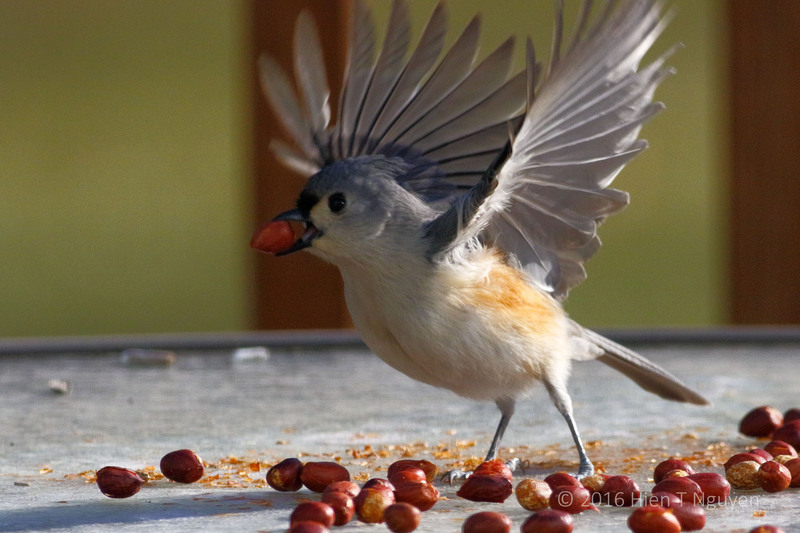 So far peanuts, even more than sunflower seeds, are the favorite food of almost all birds, big and small. Thank you for commenting! So marvelous to see them sauntering up to the dining table. wonderful colors and I love the wings in motion especially! Thank you Sue! That landing Blue Jay reminds me of some of your colorful photos of South America. Wonderful photos. So you use unsalted roasted peanuts? With or without oil? Unsalted, without oil. We just bake them in the oven. Thanks Katelon!